Hong Kong writer and director Wong Kar-wai said today he was surprised and humbled to receive a lifetime achievement award at the International Film Festival of India. 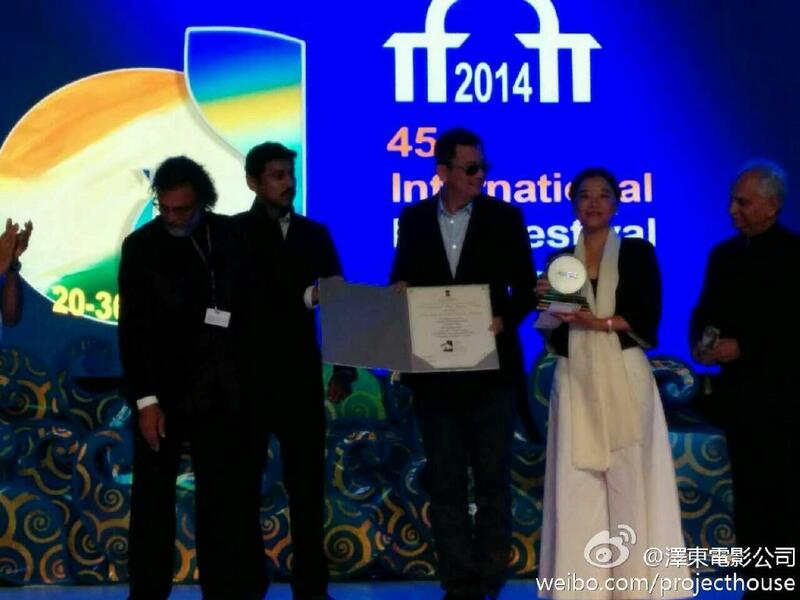 Shanghai-born Wong’s spectacular martial arts epic “The Grandmaster” closed the festival in India’s tourism state of Goa. 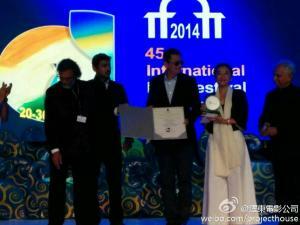 Wong, a director for nearly three decades, was presented with the award on the final day of the 11-day Indian festival which screened more than 170 foreign films from 79 countries. 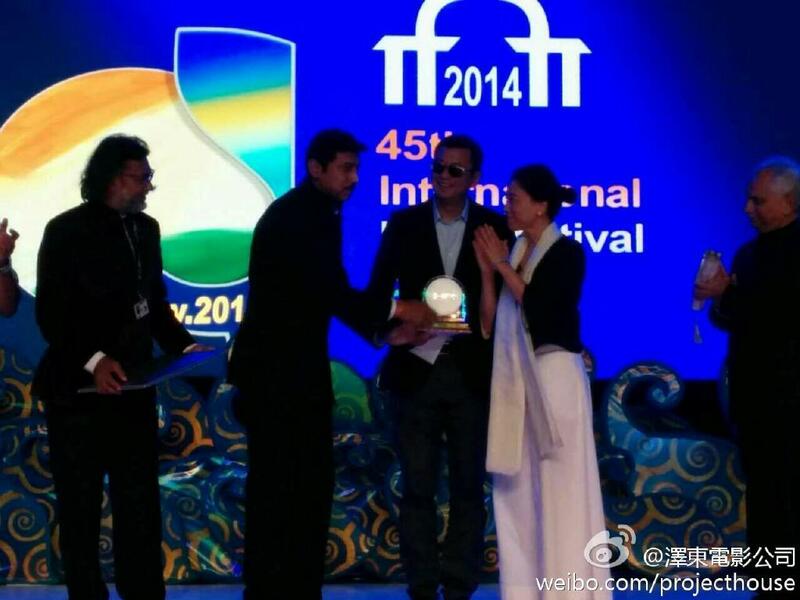 Celebrated Hong Kong filmmaker Wong Kar-wai, who was honoured with the prestigious Lifetime Achievement award at the concluding day of IFFI today, dedicated the award to his wife Chan Ye-cheng. “I would like to share this honour with my wonderful wife who is with me tonight in Goa. You are my biggest achievement in life. 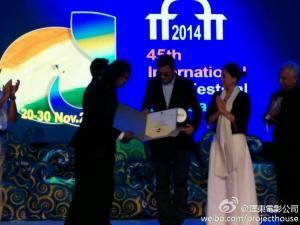 Thank You,” said Kar-wai, after receiving the award at the grand closing ceremony here as Ye-cheng looked on. Kar-wai, 56, known for his films like ‘In the Mood for Love‘, ‘Ashes of Time‘ and ‘Chungking Express‘, said he got his first knowledge of cinema from his mother, who introduced him to the new wave French cinema. “I am really humbled. I am lucky that ‘The Grandmaster’ is the closing film of the festival. As far as the award tonight, this is as much as an honour as a surprise because it comes a little bit early. I hope this is not the sign for me to retire,” he said on a light note. The director thanked the festival organisers on behalf of other filmmakers in China, the focus country at IFFI this year. “I would like to take this opportunity on behalf of my peers in China to thank the festival and the wonderful audience here for their hospitality and support towards Chinese cinema. 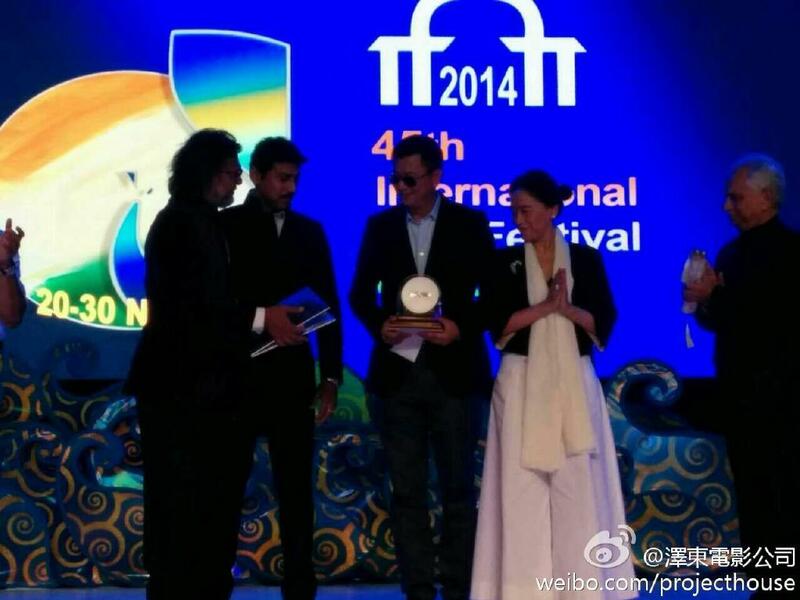 It is great to be here in India to celebrate cinema with all of you,” he added. “The Grandmaster”, inspired by the life of Yip Man – the mentor of legendary kung-fu star Bruce Lee – has won a string of prizes including at the Hong Kong and Asian film awards.